There you go sports fans, thanks again for stopping by!! Great finds (aw usual), the Valley Forge plate is gorgeous! 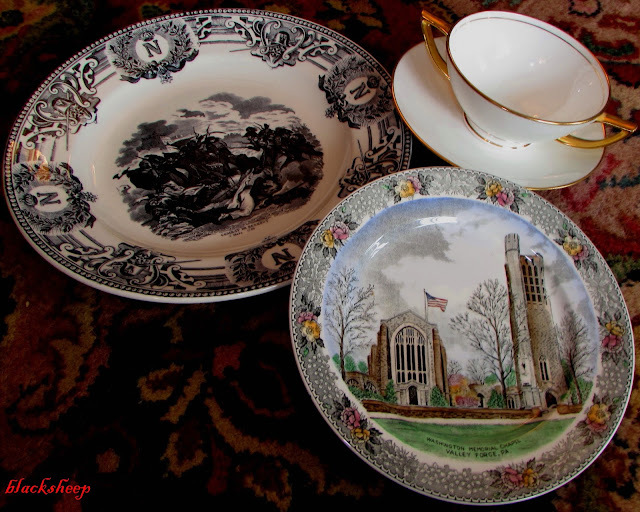 I so enjoy your thrifting posts—not the least of which because they are an excellent education in classic and antique tablewares. I love it! Your ta-da moment silver polishing posts are also so satisfying! Would you consider making a tutorial post? 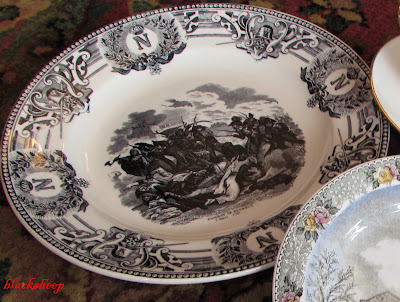 I bought a children's bowl and plate set a couple of years ago, and though not black, it is on its way, for I am still hesitating to polish it for fear of damaging it/losing detail on the engraving (etching?). I love any trasferware! I have nere seen one like that.